While I love reading, I tend to be sporadic in my choices of books to read. Some are easier for me to read than others. I may love reading history, but it takes me a longer amount of time to read a biography than it does to read a general work of fiction. Because of this I often end up with a “currently reading” list of about twenty books. Not only do I want to knock off some of these books I’ve been “currently reading” for about three years (i.e. Great Expectations by Charles Dickens) but I want to read books that have been on my “to read” list for ages. One of my goals for 2012 was to fix this. So I picked four categories, Philosophy/Theology/Inspirational (that’s a bit of a wide range), Fiction, Literature, and History. Into these four categories I put ten books, and I will read one book from each category each week. Not only will it balance my mind and the information I’m taking in, but the fact that I know: “This week I’m reading this book,” will help me to focus on that specific book. My book choices were not necessarily random. In the first category, I chose books that I’ve been meaning to read for awhile.Those might be a bit random. I also possess a great love for both C.S. Lewis and (especially) G.K. Chesterton. The Puritans have been a heavy influence on my life, and A Practical View of Christianity by William Wilberforce I’ve been reading for two years now. Every time I pick it up, I wonder why I don’t read it more consistently. After two pages I know. As beautiful as the writing of 18th century writers is, it can be a bit, just a bit, heavy at times. But this book truly is wonderful. I can’t say how many things I have written down from it, and it’s inspired a few blog posts. In literature I basically just picked one novel I hadn’t read from ten famous writers living before the 20th century. Each one of these authors, though, has been inspiring to me in different ways. Tolstoy is obvious. 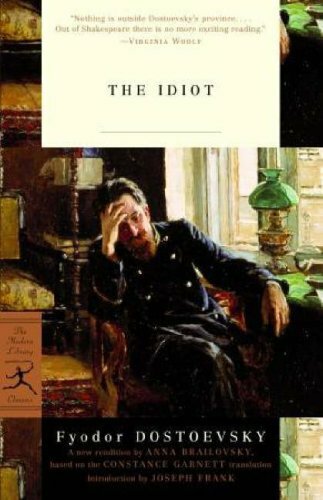 I love Russian literature. Anthony Trollope interests me, and while I’ve never read He Knew He Was Right, I know the story and the psychological part of it (something Trollope liked to toy with in Can You Forgive Her?) is intriguing, however frustrating. I never read Wuthering Heights before, because I knew how it ended and it struck me as depressing. Time to put that aside and enjoy the literature. So far, I have found this this plan of mine, to read systematically and in an organized fashion, has worked. I’ve only read Run (Ann Patchett), The Abolition of Man (C.S. Lewis), and The Life and Death of Dietrich Bonhoeffer (Mary Bosanquet), but I find my appetite for always starting something new and not finishing a certain book has been curbed. I think I can safely recommend it. When people first read my blog, I wonder if they consider me a sentimentalist. If so, just bear with me through this post. My family is caught up in a whirlwind. My father has been accepted for the position of a worship leader and music director at an EPC church in Pittsburgh, and we are trying to pack up and move. At the same time, things are rapidly changing and progressing in my own life, which keeps me very busy with many projects. But I wanted to talk a little about moving—oh, here comes the nostalgia and the weeping and tearing of hair and ripping of garments and the pouring of ash over the head, right? Well the title of this post can be a bit deceiving. It’s not what I do see, but what I don’t see. And what I don’t see are my books. They’re packed away snugly in square boxes. The old ones whose color rubs off are wrapped in paper towels because we don’t get the newspaper. But I can’t see them. I packed them up, and I feel all empty and withered, and I half-expect when I reach out my hand to find all the bones well defined because they are skinny and wrinkly. That’s what happens when you have to say goodbye to your friends. You get old and withered up. I won’t see them for more than two months, and I am used to seeing them every day, to having them at my beck and call. I am sad about packing my books away. I feel a little frantic, and it’s funny, because the more books I pack, the more I buy to try and replace them. But I always find myself thinking—where’s that one book? Just when I think I’m ready to read Ernest Hemingway, I remember that, well, I can’t. I am dull when I pack away my books. And what does that show me about myself? That I am too dependent on them, perhaps? Indeed. Apart from Christ, books are what define my personality, and help give me scope for who I am. But then—isn’t that what they’re for? Aren’t books are choicest companions, apart from actual human beings? Aren’t the stories the things that inspire us, that spur us on, that strengthen our inner being? For me, yes. It’s taken awhile to realize that sometimes it’s good to pack away your books because then you don’t end up taking them for granted. I have kept out a few treasures. I’m leaving for Scotland tomorrow, and who goes anywhere without books? You didn’t think I packed them all, did you? And, of course, my Bible—if I can find it. I have revolutionized my way of thinking, a little. I used to have an aversion to change. I used to sing with Keane “So little time Try to understand that I’m Trying to make a move just to stay in the game I try to stay awake and remember my name But everybody’s changing and I don’t feel the same.” But I am a bit done with that kind of thing. I have decided to live each day by itself—to seize the day. To find the truth of each day, to get to the root of it. Digging in the dirt of life can be a pleasure to the gardener, who enjoys the warm earthiness on his hands—to others, a bore and a gross task. My books are packed away, and the empty shelves point to the small pile left and seem to imply that these are what I have now. This is what I can read. This is what I have to enjoy—so, enjoy it. I’ve been reading My Antonia today by Willa Cather. I can’t tell where it’s going to go, but I thought I’d share a few beautiful passages. There are lots more that I would like to share… the book has a beauty and charm all its own, it’s singular and unique. I want to be a Turkish rug. Because I am saying it now, it probably seems ridiculous to you. After all, why would I want to be a rug? Even metaphorically speaking? I often amuse myself by looking at questions in my science book before I read the material. It amuses me because it shows me how reading one or two paragraphs can teach me so many things. The phrase “I want to be Turkish rug,” acts like the science question. It makes no sense now, but after you read my post it will, and I hope you will want to be a Turkish rug with me. I was reading about Edmond Dantes apartments in Rome in The Count of Monte Cristo, by Alexandre Dumas. It talked about the rugs, the tapestries, the paintings, the vases, and everything else. “Of course,” was the first thought that came to my mind. The description didn’t surprise or astonish me, because everything was relative. It is not surprising that some of the best composers were German, because of Beethoven, Bach, Mendelssohn, Strauss, Brahms, Schubert, Schumann. French silks, Egyptian cotton, Indian spices. The best glass is, of course Venetian glass. Dutch cabinets are quite common, and Arabian horses are said to be the fastest. All well-plotted and planted gardens must be English. If you wish to describe a richly woven tapestry or carpet, it will probably be Turkish. None of these things surprise or shock us—they are all in their element, especially when put together. It is only right that they should go together. Let us look at the reverse of the Count’s room. The hovel. A broken table, three-legged chairs with pieces of rotten wood replacing the missing support. The floor is of dirt, pieces of soiled rags are stuffed in the cracks of the walls. Rain drips from the roof, but there are no buckets to place under it. The children are hardly dressed, the wife has greasy hair and filthy clothes. The husband sits at the table, head in his hands. A rat investigates a broken cupboard, but there is no food. A piece of yellowed canvas stretched over a smashed window pane. Rivulets stream under the door and gather into a puddle underneath the table. The walls are stained, the ceiling is of rancid straw. This is the way I imagined the poor man’s house in The Idiot. I do not remember his name, but it was not surprising to me. When his poor, ragged clothes were described, it was only right that he should live in a hovel. But could you imagine the bright, rich, warm Turkish rug in this hovel? Or could you imagine the dirt floor in the apartment of the Count? Those two things are startling, when you think about it. If I walked into the hovel, I would not gape in astonishment at the natural surroundings. But if the Turkish rug were there, I would be puzzled, confused. Likewise, the Count’s room would only surprise me if I saw that he had a dirt floor, or a thatched ceiling. It’s because the Venetian glass and the Turkish rugs, the rat and the broken window are all relative. When the glass and the rug are by themselves, they stand out. When they are put together, they compliment each other. It is the same with the rat and window, but in a more repulsive sense. Yet, if the Venetian glass was set by a broken window, the thing becomes confusing, as does the rat on the Turkish carpet. The latter combination does not fit, and does not belong. It never will. If this world were our hovel, then I would want to be the Turkish rug. The bright, cheerful element that lifts the utter depression of the place, and shocks and surprises the onlooker at the same time. But it is a good sort of surprise and curiosity. “Where did this rug come from?” they would ask. But I would never want to be the dirt floor in the count’s apartments. I would want to replace the hovel with a mahogany table, French paintings, Venetian glass, Roman marble floors. I would want to make it into the count’s apartments, but I would never want to be the stain on the beautiful. Hitler was a stain on the beautiful. He destroyed many of the carpets and smashed the Venetian glass, reducing the spectacular elements of the room to more like that of a hovel. But I am determined to be a Turkish rug, and I want my friends to join me in this. Be something outstanding, be as startling and shocking to the world as the rug in the hovel. Remember that the world is watching you. It will not be surprised if I revert to being the dirt floor—in fact, it might feel a little less uncomfortable if all things remain in their own elements. “Leave Heaven to itself, and let the world be, though it is a hovel.” But I cannot do that. If the world is a hovel with all its proper elements, how can those who enter have any idea of a salvation from such a life? So I want to be Turkish rug, or the Venetian glass, or a German symphony, or an Indian spice. Join me. I don’t think I’ll ever stop reading. I’ve finally stopped wondering if it would be possible for me: it just isn’t. No matter what’s going on, no matter what I’m doing, there will always be a book. I have not decided whether that’s a good or a bad thing. Sometimes I am inspired to read fast, sometimes I am inspired to read slowly. With the rates of different books, I find that the ones I read slowly get grouped together. So, unfortunately, I have 18 currently reading books. I decided to knock a few of them off the list, recently, so I’m working on it. Last year I made a book of 100 books to read in 2010. I only read 50 of them, but I think that 2009-2010 were the two best reading years of my life. I discovered so many different worlds and writing styles and characters. I cannot tell you how many times I’ve been heartbroken and was forced to play Chopin for days at a time in order to sympathize with myself. But I also cannot tell you how many times my heart has been filled with joy at wonderful stories or deep-meaning themes. It’s been an adventure. So without further ado, here are my top 11 books of 2009-2010. :) They’re not listed in order of favorites… since it’s so hard to have a top favorite book. I never found Geography to be so thrilling. This book inspired me to look at maps more… Richard Halliburton uses his sense of romance and passion for the wild and “unheard of” to pen his tale of his first adventure. The style is invigorating and colorful, the stories and myths he combines with the exotic places he visits are wonderful to read about. He took forbidden pictures at Gibraltar, and then mailed copies to the officials saying he was sorry, but he wasn’t staying in one place so it was impossible to leave an address. He always traveled first class with a third class train ticket. He camped on the Cheops, and took a bath in the Nile. 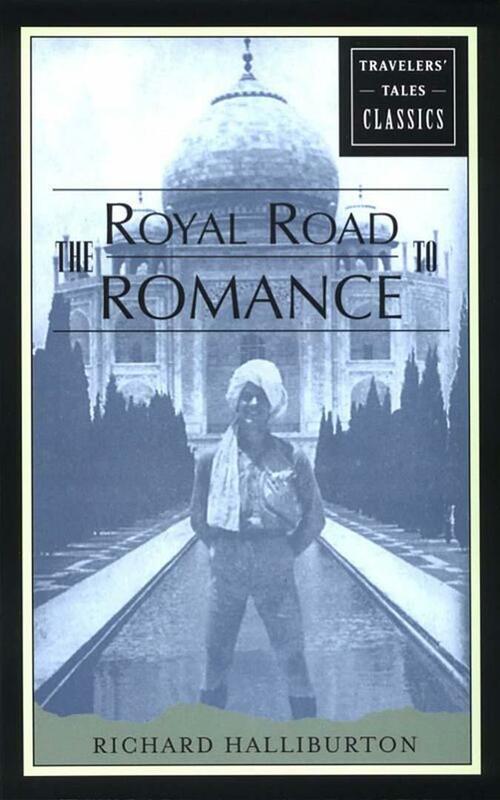 He spent the night in the gardens of the Taj Mahal, he climbed the Matterhorn in winter—and Mount Fuji. His fearless approach to travel and adventure make the book exciting to read. An adventurer like Halliburton deserved no less than a heroic and dramatic death. He thought of jumping off of Gibraltar rock and flying down into the sea where the moon flirted with the waves. He thought of many drastic ends. I suppose he was quite satisfied: he died at the age of 39 years (quite tragic, don’t you think?). His grave is unmarked—his ship was lost in a storm, and no traces were ever found. I think he would have been satisfied. Josephine Tey was the pseudonym used for Elizabeth Mackintosh, Scottish author. The hero of most of her books is Alan Grant, a detective of the Scotland Yard. After an accident, he is forced to lie in a hospital bed for a few months. He memorized the ceiling and made up every kind of geometric figure he could. He soon got bored. When looking through pictures he found one of Richard III. His detective’s eye, before he discovered who the person was, thought the man to be one whose life was burdened with grief. He was astonished at discovering it to be the famous murderer of the two Princes in the tower. He goes on an adventurous research trip in his hospital bed through all the different sources he can find, and finally comes up with a brilliant alternative. I’m not quite certain whether the research done in the book is accurate or fictional, but certainly, several of the facts of the murder and the circumstances do not match up. 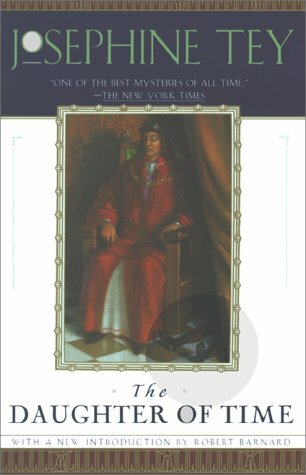 Reading this brilliant little mystery made me realize that many of the stories in history cannot be taken for granted. You cannot say that a myth is untrue and a story with facts is true, because sometimes it turns out to be quite the opposite. The only thing you can do is look up all the books ever written on the subject, then decide your own opinion. The Idiot… Where to begin? This is an incredible book. There is no other word to describe it. I was thrilled to the very last chapter, and then I was crushed. It is the only novel where the good people don’t die, but it’s almost worse that way, if that makes any sense. Now you’re not going to read it, I imagine, after such a dark report. Prince Myshkin, aka, the Idiot, tells Lizeveta Prokofyevna Yepanchin and her three daughters a story that takes up three chapters out of the book. They go back and forth between loving him to death and thinking him entirely weird. But what the Prince relates, which takes you back in his past to the Swiss mountains and legalistic villagers, is wrought with quiet passion and beauty. The first 200 pages barely cover 12 hours of one day. The themes in this book are almost too deep to discover. Everybody is almost too dramatic and passionate to be real, but it’s purposeful. The intricate plot, the progression and digression of the characters, the streak of epilepsy, and the philosophical tone of the novel produces something that will change your thought-life forever. It’s a haunting book. Lately I have been appreciating more and more the writings of the Puritans and early church fathers. 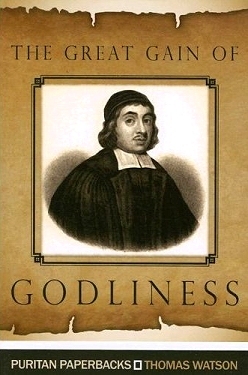 An older man at church got me into Thomas Watson’s books—really, hidden treasures! The Great Gain of Godliness is precise… it’s written by a passionate, godly man seeking to encourage Christians in the right way. It’s the most humbling book I’ve ever known, as well. It makes you want to run into the arms of Christ, yet cringe with shame before him at the same time. For those who believe, it follows with a definite tone of hope. The most amazing passage in this book was the chapter on thoughts. I thought it strange how someone who lived 400 and some years ago could get inside my head so accurately, or gauge my thoughts so exactly. He talks about how, in guarding against sinful thoughts, one must not only “not think of that….” we must look higher and set our minds on heavenly things. It sounds simple enough, but when thoughts become truly tempting, thinking of the Kingdom of God and its righteousness is not an easy thing to do. So this is a wonderful treasure to read. 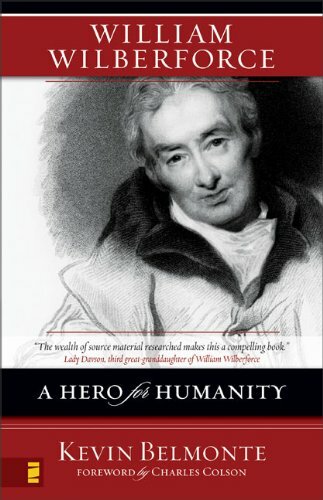 William Wilberforce… a hero for humanity… the greatest man that ever lived… my hero. If I ever get married, I want it to be to a man with the mindset like William Wilberforce. I have never enjoyed a biography so much. He was such a passionate man, he was such a humble man…. he was so magnanimous. This book is filled with journal entries, excerpts from letters to him and letters he wrote, different opinions of different critics. It is a well researched, well-written book by someone who loved Wilberforce and everything he stood for. It is truly wonderful, and I have never stood more in awe of any person than I have of him. Wracked by physical illness and pains, his purpose remained clear, and his determination strong: he lived and he finished what he set out to do. His story is amazing, and if you have not read it, this is a wonderful place to start. Wilberforce was loved by everyone who knew him, and his aim was to think the best of everyone—even when they spoke of him in harsh and bitter terms. He always strove to seek out the best in them. One thing I love best about him was that he read and studied the philosophies of different men for a few hours every morning. His books were always underlined—he memorized passages of great books: but his most studied book was the Bible, no matter what. Even though he was a great and wonderful man, and I am a girl, he inspires me to the -enth degree. This was a birthday present from a very good friend. Unfortunately, said friend’s sister had read me the ending so I was a bit spoiled. At any event, if you want to see the powerful hold that evil can have over a human being, this is the book to read. I have never been so stunned as I was at the end of this book. I remember lying on my bed just thinking, praying and hoping about my life, and my relationship with God. I remember shaking my head and being shocked. It was a terrible, but a good feeling at the same time. I felt like Pandora, after beholding all the evil she had let loose, and then peering inside and seeing hope. Not that I had leashed the evil…. Reading Tolkien is easy and hard at the same time. He uses such interesting expressions and phrasings that sometimes it’s difficult to grasp his meaning. But this was a truly wonderful book, and I would recommend it to anyone who loves a depressing read. 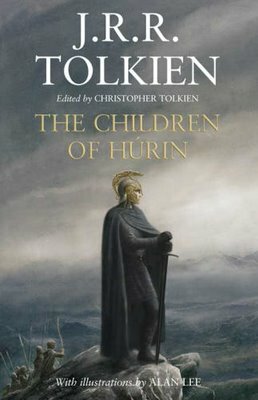 I don’t know about you, but after the reviews on The Idiot and The Children of Hurin I’m ready for something lively and bright and cheerful. 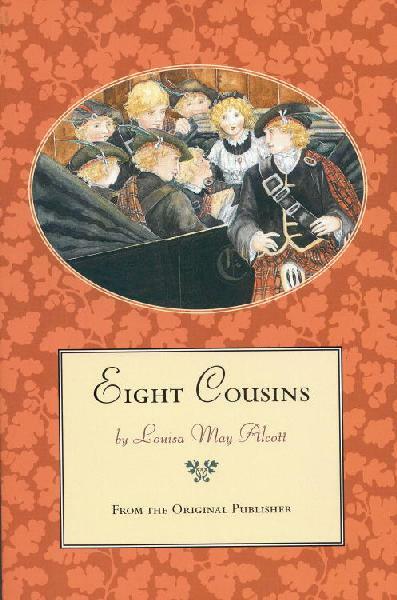 Eight Cousins (and Rose in Bloom) is precisely that. Alright, how could you not want to read a book about a small lonely girl with eight cousins who go around proclaiming their Scotch heritage? Having four brothers I can appreciate the humor that goes on between the main character, Rose, and her eight boy cousins. But like most fun stories, these have many growing up themes, or important lessons that one is learning all throughout life. Rose is not portrayed as the perfect heroine: she’s just a young girl who’s growing up and learning her life lessons. The characters have quite a range, from the timid but well-meaning and sometimes vain Rose, to the cheerful and honest servant Phebe, to the good-natured and sensible Archie, to the handsome charmer Charlie, to the grumpy bookworm Mac, to the bright-eyed, mischievous youngsters, and never to forget the good Uncle Charlie, always seeking to instill good principals and habits in all his nephews and his niece. If you want to learn lots of new words and lots of French phrases, this is the book for you! 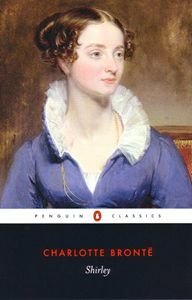 Most pro-feminist people nowadays would say that Charlotte Bronte was all for women’s rights and “being equal” with men. But it seems to me that this was more the journey of a girl finding something useful to do instead of sitting around reading or sewing all day. She says: “I may have half a century of life before me. How am I to spend it?” It is the travels of a young girl who first wishes to marry the man she loves and assist him in his work, and then realizes she will probably never be able to marry him, and then seeks to find a way to apply herself diligently and purposefully apart from the man she thought she couldn’t live without. This book was read aloud to me and some other people by my best friend’s father. It was a year ago, and I’m still struggling with the themes. John Steinbeck introduces the dark, questioning side of reality… his books are, needless to say, depressing. 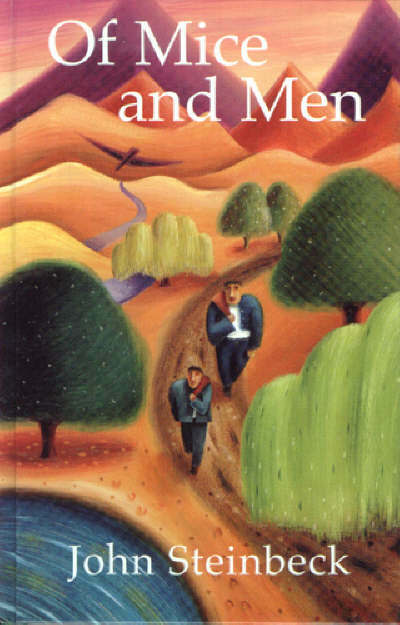 I have heard different opinions on Of Mice and Men, but this is definitely a read again: not necessarily because the story is so good, but because the theme is so intense, and it leaves you wondering. There is something so raw and morbidly beautiful about the way John Steinbeck writes. It’s effective without being overbearing. In fact, the style is almost so simple is complicated. A lot of modern literature is like that, I suppose. Have you ever wanted to get steeped in charming tales on a winter evening, after taking a hot shower and getting in warm clothes with a cup of tea or… wassail, while sitting by the fire listening to a winter gale? Even if you’ve never had that interesting feeling, you should still read this book. 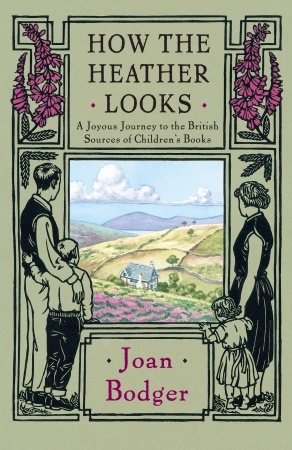 John and Joan Bodger took their children in 1956 to spend a summer in England. They went on a scavenger hunt, really. They didn’t want to see all the touristy places—they were on a mission to find the bank from The Wind in the Willows, or the farm where Jemima Puddleduck lived, or the land of Arthur, the country of Randolph Caldecott. The two children, Ian and Lucy, provide a humorous side to the story, and you encounter all sorts of things on this adventure: gypsies, two boys riding backwards on a huge farm-horse, a Cornish festival, myths, legends, mysteries, stories, and obscure tales. She talks about books long out of print—treasures of the past. On a rainy afternoon they stop in a quaint English/Welsh village and, being hungry, buy some bread, cheese, and fresh tomatoes for their lunch, watching the villagers go to market. It is filled with charming descriptions, jaunts and rambles, and haunting stories that will make you want to see this wonderful place called England. Alright, I said I didn’t have a favorite. But if you want something as deep as the see, as nice as a fairy tale, and as thrilling as the novel then this is the best book. Look at his face! He was a genius! Orthodoxy is packed full of thought. You could read one sentence of it and write an entire book on the subject. He deals philosophically (and yet un-philosophically) about maniacs, pessimists, optimists, love, Christianity, Agnostics… and these are only vague ideas of what he covers. It is an adventure to read this book. To see the journey of a deep thinker as he battles with thoughts and ideas of Christianity that have not even entered the head of a believer is wonderful. His method of thinking, his wit and humor, his deep faith are all woven together cleverly with a colorful thread. I love him best because he believed in fairy tales, and anything that had to do with the nursery. He saw so much sense and reason inside the world of fancy, and so much to laugh at with the great determinists and philosophers of his era that it’s almost shocking to read. But you are convinced to agree with him at last! I would recommend this book to… well, everyone. Usually I do wake up to my alarm and get up right away. But this morning I didn’t. It was such a wintery morning. The cold wind was blowing, the hard rain was tapping at the windows. And I was lying encompassed by my warm, cozy bed. So cozy. I thought of telling mother that I was going into hibernation for the winter – after all, it is November. I thought of saying goodbye on here, and going to sleep till Spring, wrapped in my coziness. 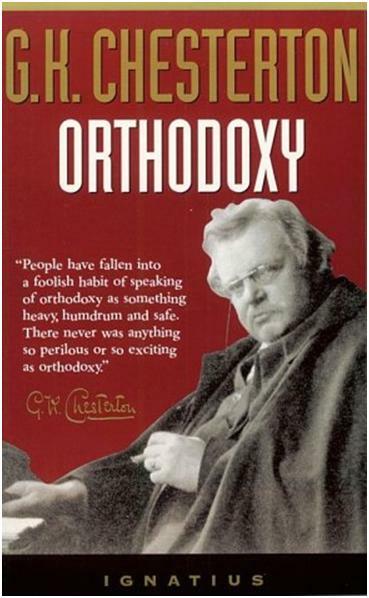 It made me think of G.K. Chesterton. But then, everything makes me think of him. Well, there I am a step ahead of Chesterton, for I sleep in my writer’s garret, and the ceiling is less than twelve inches from my head. And yes, once as I was doing a very deep back bend, I came up abruptly and slammed my face into said ceiling. But that’s not what I was going to blog about. I was lying in bed, singing songs to myself, thinking about hibernation. I am going into hibernation – in a way. I will venture out for my daily walk in the cold, I might go to the store. But for the most part you will find me curled up on the couch reading a good book. Because that’s what winter’s for. I really sincerely wish not to get wrapped up in school. Or if I do, to let school become my friend rather than the enemy I must overcome. I adore winter, because now I realize what it’s for: it’s for building snowmen, it’s for the privilege of hot chocolate, it’s for being gathered around the fire, laughing, telling stories, reading stories… being together. Winter is for hibernation. So what books are you going to read this winter? Do you have any suggestions of good books that could be read during the winter? I love suggestions – and usually follow through with them. :) What do your lists look like – or what are things that you want to accomplish in the cold, white months ahead?